Montara Wines | Rosé all year round? Yes way! Rosé all year round? Yes way! Spring may be right around the corner (believe it or not! ), but should the time of year or seasons dictate what we drink? We think not. While it’s true that the temperatures might influence what you fill your glasses with, there really isn’t a wrong or right way to enjoy the wines you love. For most, rosé is stereotypically a summertime drop, but it is actually a great all-season option. It is incredibly food-friendly, versatile, and can easily be drunk on its own…plus the gorgeous blush pink colour will brighten any cold or rainy day! 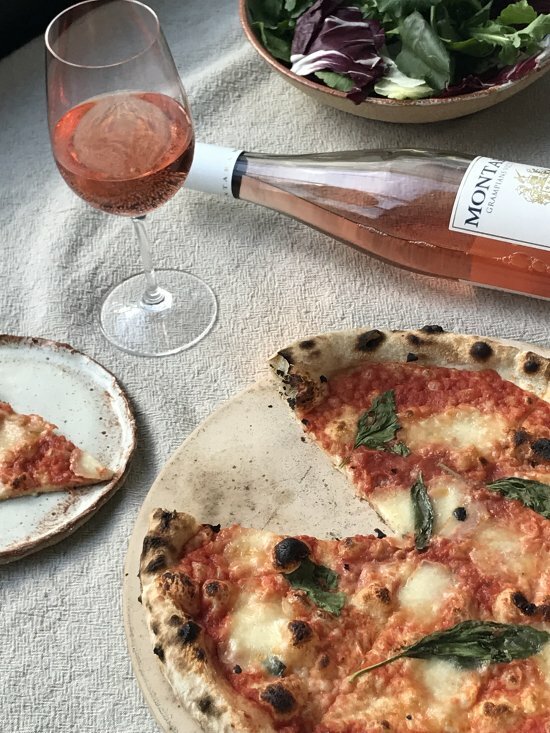 We like to drink our Montara Rosé all year round – chilled, but not too cold – with pizza, salads, hearty pasta dishes, barbecued meats, antipasto/charcuterie platters, roast chicken, winter stews—the options are endless. Have fun, be creative, and drink what you like, when you want! What’s your favourite way to drink rosé?